$5 for a $10 Fandango Movie Ticket!! 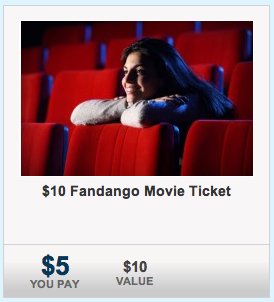 You can get a $10 Fandango Movie ticket for $5 at Half Off Depot! I just bought one! The ticket will cover fees as well as long as its under $10! Expires 30 days from when you buy.